by Hilton Hater at January 25, 2018 1:37 pm . The Big O has finally answered The Big Question. ... is she running for President of the United States in 2020 or what?!? 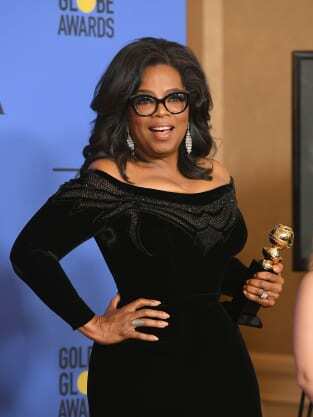 Chatter over this possibility grew strong (like, REALLY strong) after Winfrey was presented with the Cecil B. DeMille Award back on January 7. “I want all the girls watching to know a new day is on the horizon. "For too long, women have not been heard or believed if they dare speak the truth to the power of those men - but their time is up." In response to Oprah's inspiration, the Internet blew up in the hours and days after this speech with talk that Winfrey ought to challenge Donald Trump in two years. 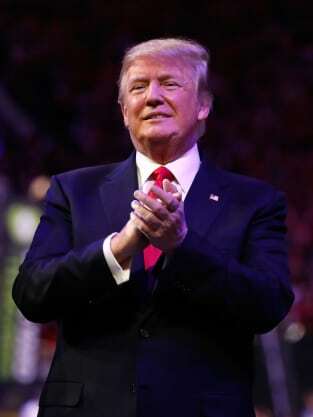 Trump himself even touched on the topic. But is it actually a topic worthy of debate? Could it actually happen? Tragically, it doesn't sound likely. Oprah did acknowledge that she's aware of the buzz out there. Well aware of it, in fact. "Gayle [King] - who knows me as well as I know myself practically - has been calling me regularly and texting me things, like a woman in the airport saying, ‘When’s Oprah going to run? '” she continued in this interview. "I met with someone the other day who said that they would help me with a campaign. That’s not for me." The idea of an Oprah for President campaign was further fueled by media inquiries of Hollywood talent over the past couple weeks. Director Steven Spielberg, for example, has said he would “back her” if she declared herself to be a candidate. Meryl Streep has said she's ready to write a donation check. Heck, so is The Hollywood Gossip! We'd toss a few bucks Oprah's way.